Cornell Maple Camp provides intensive, hands-on training for beginner and less experienced maple producers. The 4-day curriculum begins with sugarbush assessment, then builds sequentially through all phases of maple syrup production from sap collection to boiling, bottling and sales. Participants will gain the skills necessary for the safe, efficient and profitable production of maple products. Classroom sessions will be held in the Schuyler County Cornell Cooperative Extension office in Montour Falls. Field sessions will take place in the Arnot Teaching and Research Forest in Van Etten. The cost is $250 per person. A group discount is available at the rate of $250 for the first registrant and $200 for each additional registrant. Additional information and the online registration are available at the links below. Contact Aaron Wightman at arw6@cornell.edu with questions or comments. Do you know a young person interested in a career in agriculture? This video, produced by the Cornell Maple Program, provides an overview of career opportunities in the maple industry. The video can also be accessed on YouTube. The Cornell Maple program has produced a series of videos covering a wide variety of maple related topics. 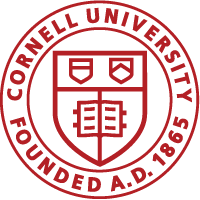 The videos can be accessed on YouTube by searching for Cornell Maple or by clicking here. Maple Syrup Production for the Beginner by Stephen Childs and the Cornell Maple Program is now available on youtube. This video series provides an overview of all aspects of maple syrup production. The following video, produced by the Cornell Maple Program, provides an overview of marketing concepts useful for maple producers.